When I happen upon a blog called Filth Wizardry, I'm going to spend some time looking around. And I'm going to have certain expectations. 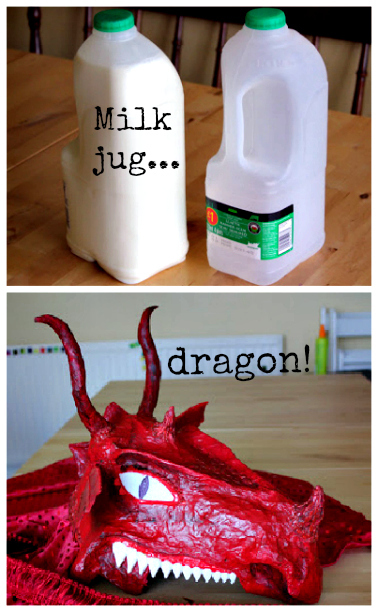 In this case, expectations were met! 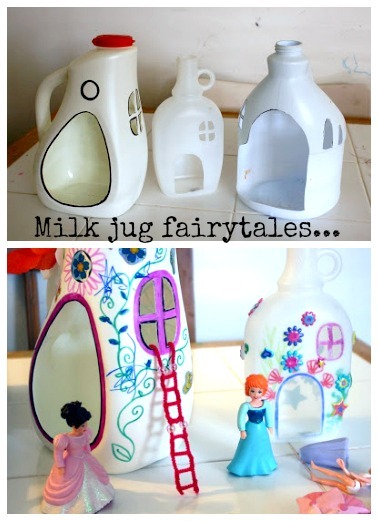 Click through for the full how-to on the Fairy Houses and the amazing milk-jug dragon.